Donald Alistair Stewart McKay was born in Pontefract, Yorkshire in 1917. He was working as a bank clerk when he joined the RAFVR in April 1937 as an Airman u/t Pilot. He began his elementary flying training at 5 E&RFTS Hanworth. Having flown the required number of hours and reached a suitable standard, McKay was offered a six-month attachment to the regular RAF for continuous training. He joined 43 Squadron at Tangmere on 6th February 1939. He moved to 111 Squadron at Northolt on 13th June and by August, with war looking to be imminent, his attachment was extended and he was officially called up on 1st September 1939. 501 Squadron – McKay joined 501 Squadron at Filton five days later. The squadron moved to Tangmere in late November and went from there to Betheniville, France on 10th May 1940 to reinforce the squadrons there. On 12th May McKay destroyed a He111, on the 15th damaged a Do17, on the 21st probably destroyed a Do17, on the 27th he destroyed two He111’s and probably a Do17 and on 14th June destroyed a Me110. In the early hours of the 15th the order was given to strike camp and pack up in preparation for evacuation of the squadron to England. 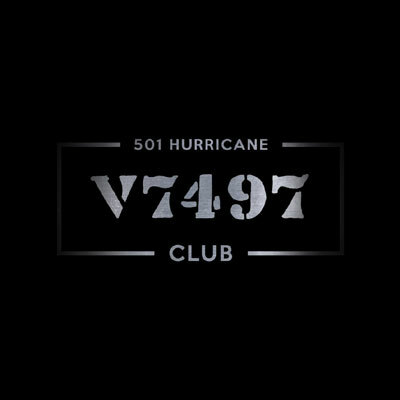 At 10am McKay was ordered to fly an almost-unserviceable Hurricane to a forward base. On arriving there, he found everything in the final stages of being evacuated, with the Germans only five miles away. McKay was ordered to fly his Hurricane back to Tangmere. He arrived at two in the afternoon, was temporarily attached to 145 Squadron and then sent on 48 hours leave. 501 Squadron re-assembled at Croydon on 20th June and moved to Middle Wallop on 4th July. On the 12th McKay attacked and possibly destroyed a Ju88 at night near Weymouth, on the 27th probably destroyed a Ju87, on the 29th destroyed another and on 15th August destroyed two more. 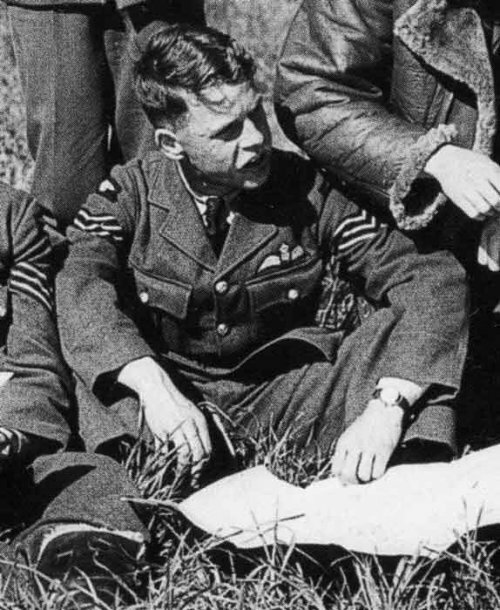 Three days later McKay was himself shot down over Canterbury by Oblt. Schopfel of JG26 and baled out over Dargate, slightly burned, from Hurricane N2617. He was admitted to hospital and did not rejoin 501, then at Kenley, until 12th September. On 21st October 1940 McKay was posted to 421 Flight at Gravesend. He damaged a Me109 on the 24th, destroyed a Do17 on 15th November, destroyed a Me109 on the 27th and shot down a Ju88 on 17th December. McKay was awarded the DFM (gazetted 7th January 1941). 421 Flight was expanded and renumbered 91 Squadron on 11th January 1941. McKay destroyed a Me109 and damaged another on 4th February, shared a Ju87 on the 5th, damaged a Me109 on the 13th and destroyed a Do17 on 6th March. He was awarded a Bar to the DFM (gazetted 18th March 1941) which was presented to him by the King at Buckingham Palace on the 25th. On 30th March McKay damaged a Me109, on 21st April destroyed a Me109, on 11th May destroyed another and on 1st June damaged another. On 20th June McKay completed his tour and was posted to 55 OTU Usworth as an instructor. Commissioned in October 1941, he joined 234 Squadron at Ibsley on 18th January 1942 and he destroyed two Me109’s near Dunkirk on 12th February. McKay moved to 130 Squadron at Perranporth on the 23rd as a Flight Commander. He was posted to the Middle East on 6th April 1942, joined 33 Squadron on 27th August, moved to 213 Squadron on 20th October and then to 274 Squadron on 31st October 1942. McKay’s final operational success came on 3rd November when he damaged a Me109. Tour-expired, McKay was posted to a Communications Flight and later to an MU at Aboukir where he spent nine months on test pilot duties. On 25th January 1944 he went south to Rhodesia as an instructor, staying there until 16th July 1945 when he was posted back to the UK. McKay went to 7 EFTS Desford on 1st October as an instructor. He was released from the RAF in 1947, as a Flight Lieutenant. He rejoined the RAFVR and continued as an instructor at Desford until 30th June 1953. He died on 30th September 1959.